Welcome at Cap Cana, a Resort Community, a tropical paradise on the eastern tip of the Dominican Republic, a few minutes from the Punta Cana Airport. Facing the rising sun, where the Caribbean meets the Atlantic, and the Mona Passage embraces the shore. Enjoy the beaches, golf, marina, lush nature and all facilities & amenities of this 30.000 acres wonder land. Let me guide you for a perfect stay with these Most Frequently Asked Questions. • How far is the Airport? The Punta Cana International airport (tel/ 809 959 2376 www.puntacanainternationalairport.com ) is approximately 8KM from the main entrance gate of Cap Cana. La Romana airport, 35 minutes and Santo Domingo airport approx. 1.45 hours. • Can you provide (Airport) transportation? • How do we get to the unit? You can rent- a car at the airport (all major companies are represented- free parking for all units / please be patient, delivery can be slow) or take a Taxi. Leaving the Punta Cana airport take a right. Take the 1st or 2nd road to your left direction Cap Cana (depending what your arrival gate is) and continue this road to the main entrance of Cap Cana. Approximately a 10 minute drive. You will be registered at the gate. • How will we access Cap Cana and get the keys? Please inform us on your expected arrival time and if you can, call or send us a message as soon as you are leaving the airport. We will be waiting at the property for your check in. Check In time is between 2PM and 6PM unless agreed upon otherwise. Please provide us with the names of all guests to have them registered at the main gate. Unregistered overnight guests are not allowed. • Where is the nearest grocery store? The large supermarket ‘NACIONAL’ is located in front of the Punta Cana Airport, in the Punta Cana Village. Within Cap Cana you find a Deli in the Marina and minimarket and pharmacy in Las Canas (Delivery) tel. 809 469 7591. Do you provide grocery shopping services? Yes, you can send us your list. Service charge of US$25 + cost of groceries. • What items are available in the unit? You will find the following items in the property upon your arrival; salt / pepper / paper towels / dish detergent & sponge /Toilet paper / soap / some basic cleaning products. NO refills of these and perishable items are provided during your stay. Are linens & towels provided? Yes, linens and towels are provided. The beds will be made and extra linens are in the closet. Please use the Beach towels to go to the pool & beach and make sure to return them. • Do you provide cleaning service? Yes. The property is clean upon your arrival and we will clean upon departure. Extra cleaning services can be contracted for US$25 per service or as agreed upon otherwise (apartments). • Do you provide chef services? Yes, we have a chef that can prepare your meals at your unit. US$150 for complete days and 3 meals (+cost of food). Please confirm with your reservation to ensure he is availability. • Does the unit have internet / Phone? Most of our properties have Free WIFI internet. Please ask for your access code upon check in. At the Lobby of your property you will also find free internet service. Local Phone We have rechargeable local phone available for US$25 p/stays up to 1 week. No phones in the units. • Where are the nearest restaurants & bars? Many ore options at BLUE MALL and the Punta Cana Village, and ofcourse in the Bavaro region. Bars / Riva Bar at Eden Roc, LOVE bar at Sanctuary, Caleton Beach Club, Juanillo Beach, Api Beach, Il Capuccino Marina, Le Salon at FishingLodge, La Taberna de Charlo, L’Stella Cigar lounge, Versus terrace and lounge, Al Sol del Mar at SotoGrande. Lobby bar at Tiara hotel. • What activities are in Cap Cana? So much to do and so little time…. 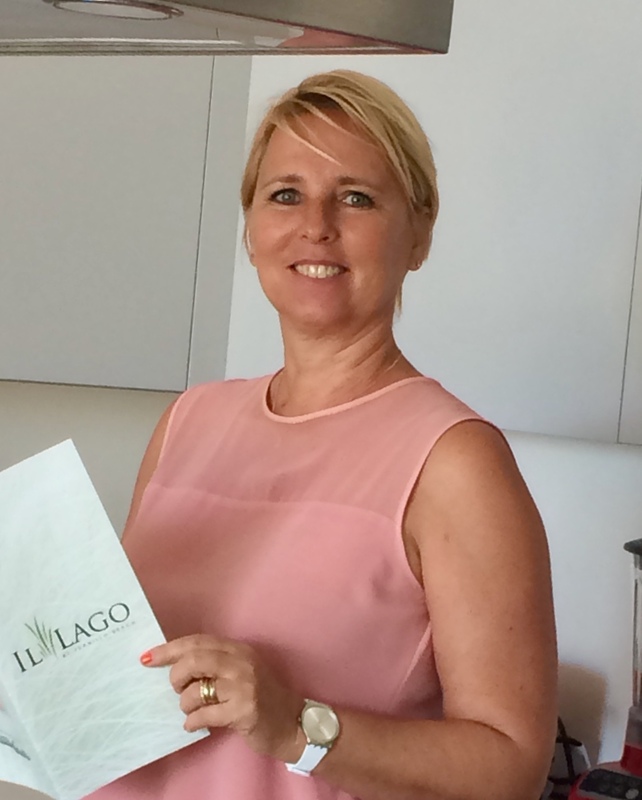 Ask Gisela Ferrer for the activities program and SPECIAL EVENTS during your stay. Visit the SCAPE PARK Cap Cana, Zip-line, Cave and waterpark tours, Catamaran tours and a refreshing dive in the ’Holo Azul’ (sweet water lagoon). Tel. 809 469 7484 www.scapepark.com. Watersports variety at the Juanillo Beach. Marina Fishing -White & Blue Marlin tournaments during the summer season. Tennis courts at the concierge of GBL (809-469-7425) with a cost of US$20 per court/hour and if used a night there is an extra energy charge of US$10 per hour/tennis court. Junior pro available with an extra cost (8AM-6PM). Paddle course at the Marina Beach. Information at Api Restaurant. Spa / Salon & Gym services in the Marina (PowerFit), Tiara hotel, Golden Bear Lodge, Fishing Lodge and Sanctuary & Eden Roc Hotel and Caleton Beach Club. Juanillo Beach for live music events. Excursion program / ask at your arrival. • How can I charter a boat for Fishing & Snorkeling? • Which beaches can I go to? • How do I get around in Cap Cana? We offer for rent deluxe golf carts (Gem) with large range for 4 persons. US$60 or US$70 p/day depending season (+ taxes if paid by cc). Or call the internal taxi shuttle service. US$3 per way Tel. +1 829 761 6061. Bicycle Cap Cana has special bike roads throughout. We have a sports-mountain bike and 1 regular bike available for rent for US$15 a day p/u. The official currency is RD$ peso but US$ dollars (US$1 = RD$49 approx.) and Euro are often accepted as well. Mayor credit cards are accepted in the main stores and restaurants. American Express NOT everywhere. BDI Bank can be found at the marina tel. 809 469 7301. ATM machines will dispense pesos only. Taxis, R/E Consultants and smaller establishments, cash only. • How far is medical service? Within Cap Cana we have medical- emergency and ambulance service tel. 809 695 5501 / 809 669 7724. A dentist can be found in Las Canas tel. 809 469 7591. The closest, international hospital (Hospiten tel 809 686 1414) is approximately 15KM outside Cap Cana. International insurances are accepted there. Cap Cana Security & Fire Brigade tel. 809 695 5501 / 809 669 8843. • How safe is it? The Dominican Republic is a tourist destination with visitors from all over the world. The Punta Cana airport received over 4M visitors last year. Although we are still a 3rd world country, we have a strong, growing economy. Safety is a priority for everyone here and very much under control. Cap Cana is a gated community with a controlled access. You will be registered at the main gate. You will find private security within the resort. Your unit has a safe and we recommend you use it for your valuables. Please read the operational instructions. CocoBongo Show & Disco. Isabella restaurant at Blue Mall. Eden Roc – Riva Bar live Jazz music. Day trip with lunch either in rent- a car or private driver = Boca de Yuma for fried fish and authentic Dominican Experience. Macao Beach with enormous waves and surfing as well as fried fish. Montana Redonda amazing views. Ask for details upon your arrival.